Let me just start by saying that Maui is now one of my favorite places on earth. We arrived, picked up our rental jeep, and hit the road. 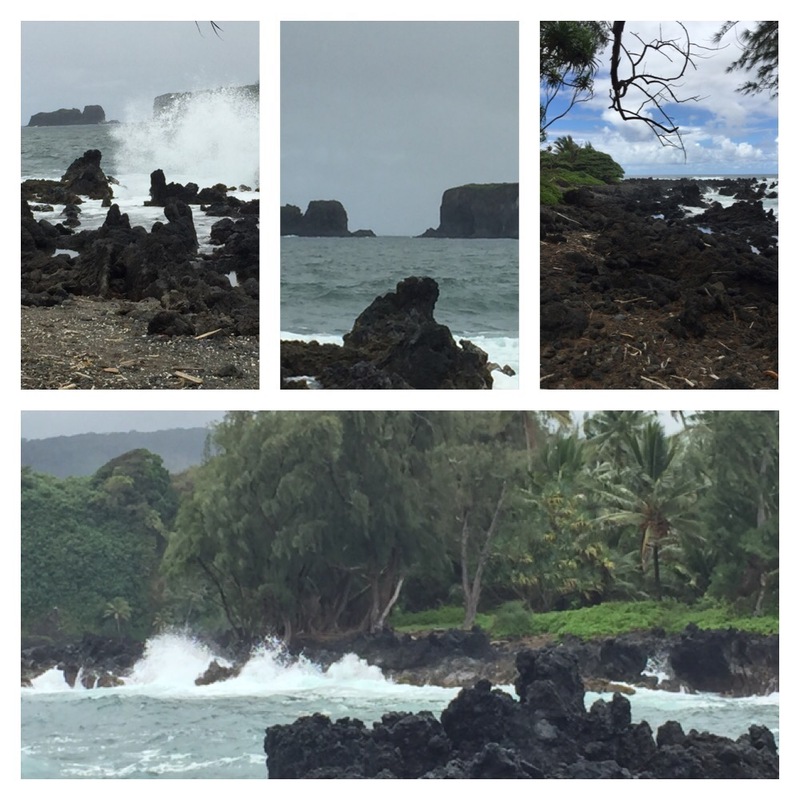 Once we turned on Homoapiilani Highway, (aka Hwy 30) we were blown away with the landscape! 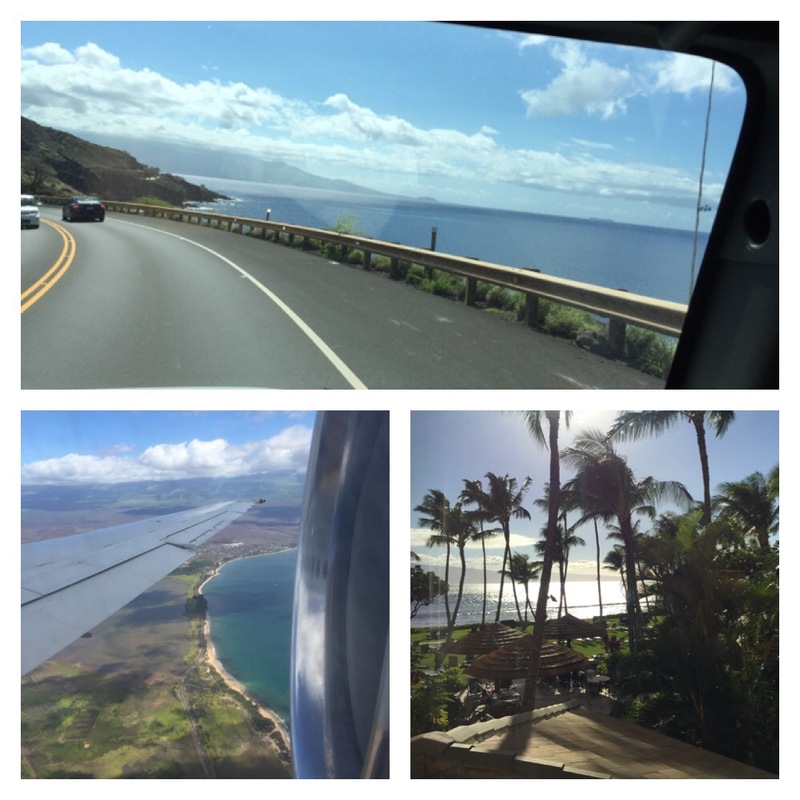 The road followed the bluest ocean and we could see the islands of Kaho’olawe, Lan’ai, and Moloka’i across the sea. 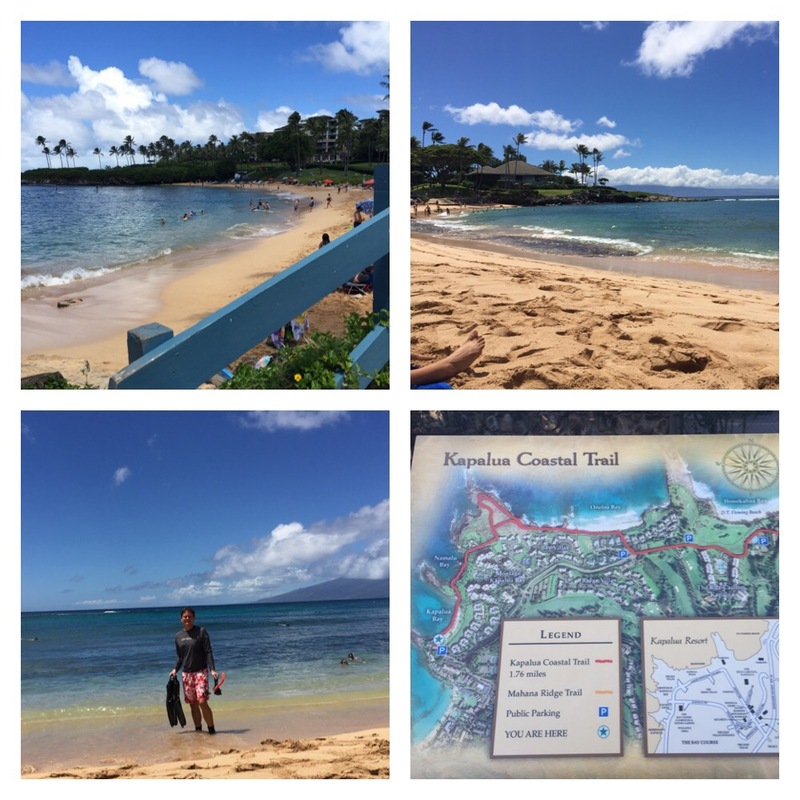 We checked into our hotel, the Marriott Ocean Club, which is on Ka’anapoli Beach. This particular area, which stretches from the Hyatt down to Black Rock beach, is connected by a gorgeous boardwalk. This boardwalk is peppered with scenic views of the beach, tropical plants, and tiki torches to light the way in the evenings. 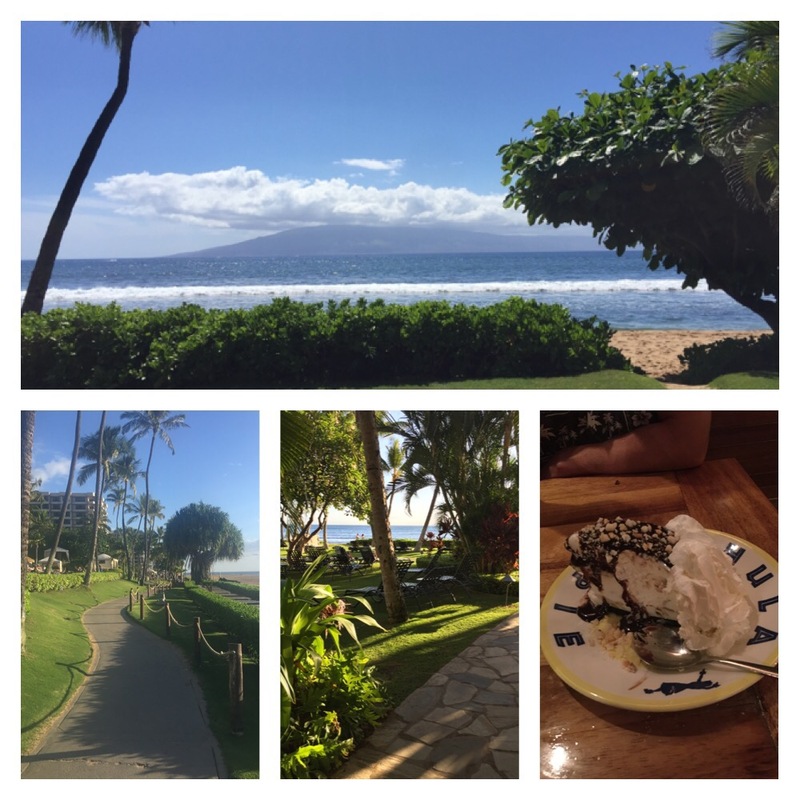 Restaurants await at the Whalers Village, and we opted for a place called Leilani’s, where we enjoyed fresh fish and a piece of their acclaimed Hula pie. 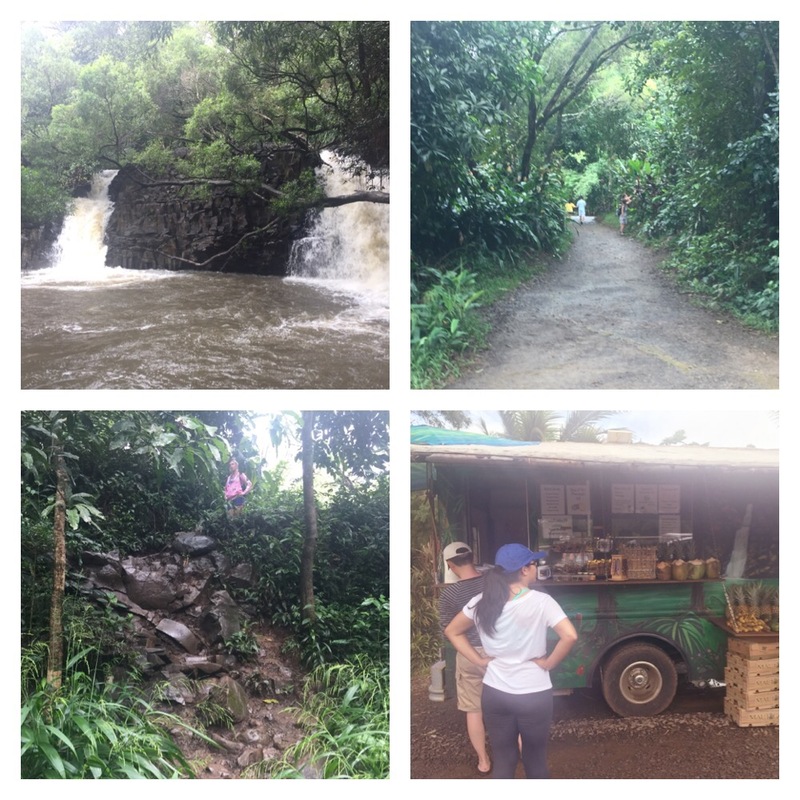 Our first full day was high adventure, as we opted to drive the infamous “Road to Hana“. We downloaded the app called “The Gypsy Guide” which would prove to be an awesome guide through the Mauian rain forest. Although we had no cell service for 95% of our long day, this “guide” took us step by step and told us all the best places to stop along the way! No clue how it worked without service- and managed to track our every turn?! 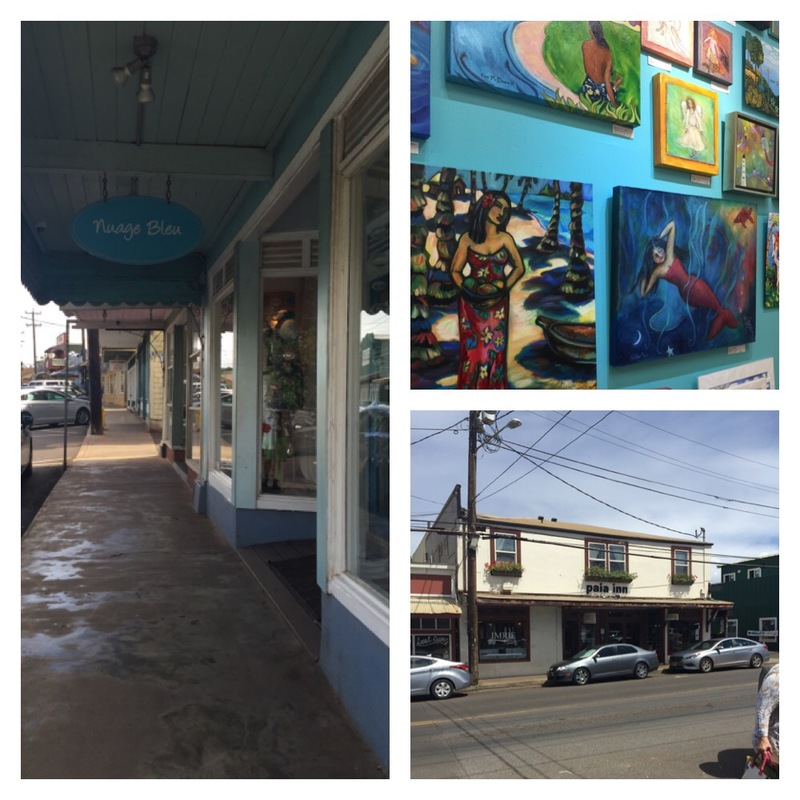 Our first stop was in the town of Paia, which is just a few miles before the Road to Hana begins. This town was home to some amazing local art, including carvings that the local artists tap out with a chisel and a wooden block, and amazing oil paintings. The next time we stopped we were on the famous road, with its more than 650 turns and over 50 one way bridges! 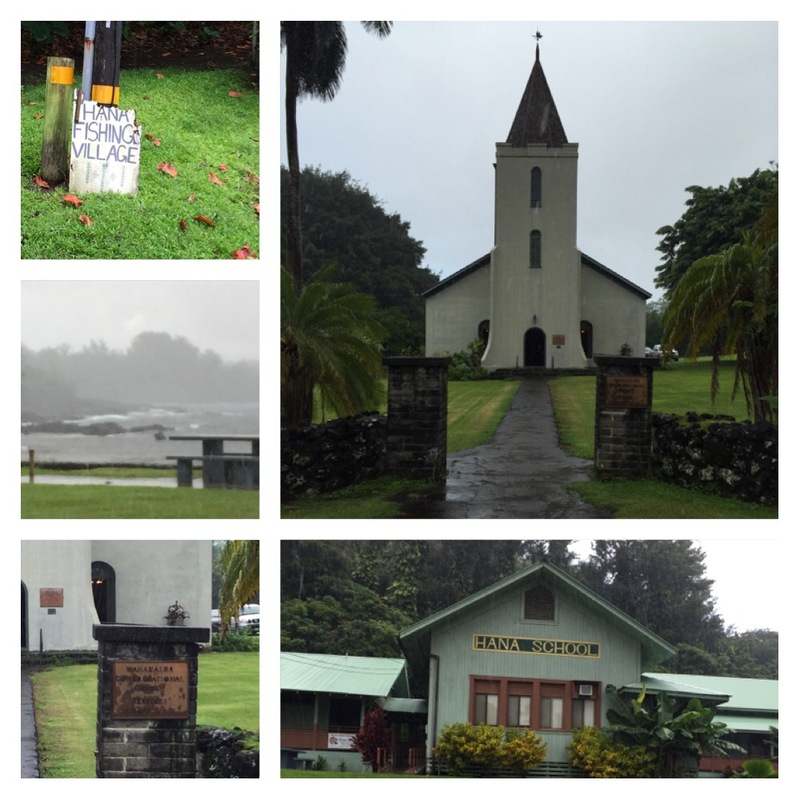 It took us close to 5 hours to get to Hana between the stops, the turns, and the rainy conditions of the rainforest! We stopped at the first spot discussed by our Gypsy Guide- at the Twin Falls. This stop had us walk through a pretty muddy trail, in parts rocky and steep, to witness a beautiful sight: two waterfalls running parallel with each other! Worth the mud! We also picked up a bag of fresh pineapple at the roadside stand- it was pure ambrosia. The next stop was the Keanae Arboretum. This is pretty much an outdoor tree museum! 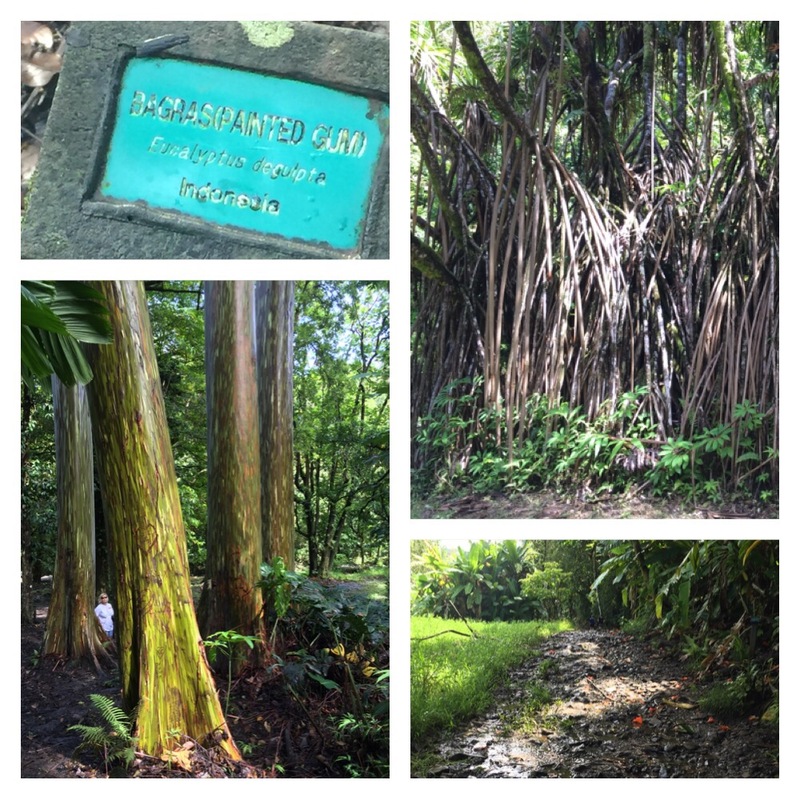 There was a gorgeous walk through the groves of all of the native trees of Maui. By far my favorite were the Rainbow Eucaliptus trees. I had seen photographers capture these trees in several of the art galleries, and seeing them up close, I completely understood their mystique! The Banyan trees deserve some mention as well! We were nearly halfway to Hana and the guide told us about a great stop for food. When we stopped, we were greeted by friendly locals who offered samples of the most delicious baked coconut I’ve ever had- sweetened with cane sugar grown on the island. 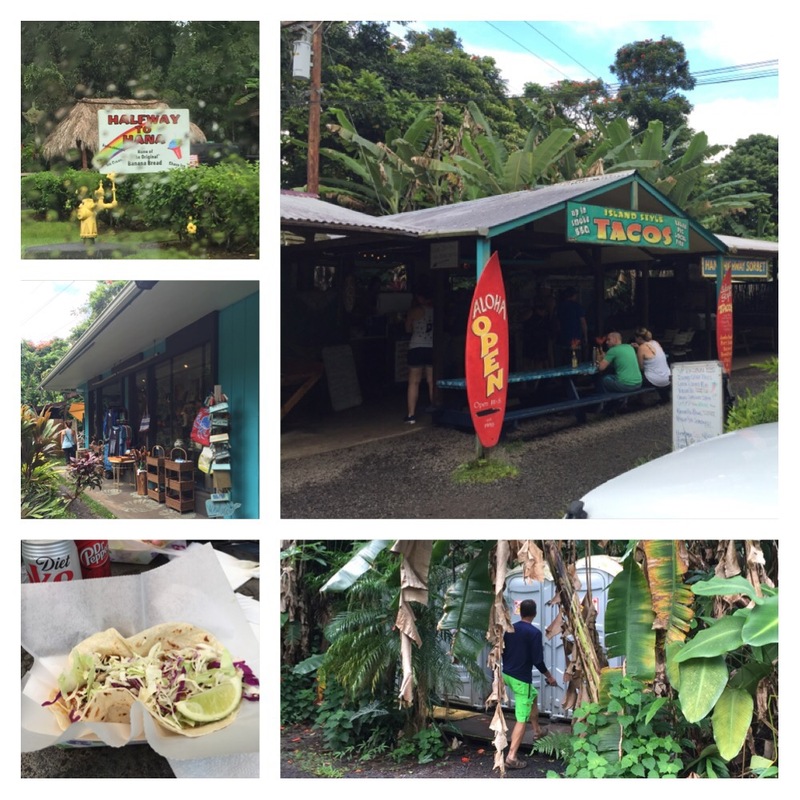 We ate fish tacos for lunch before heading back out on the crazy curvy road to Hana! It was also a great place to use the facilities- porta-potties nestled in the palms! 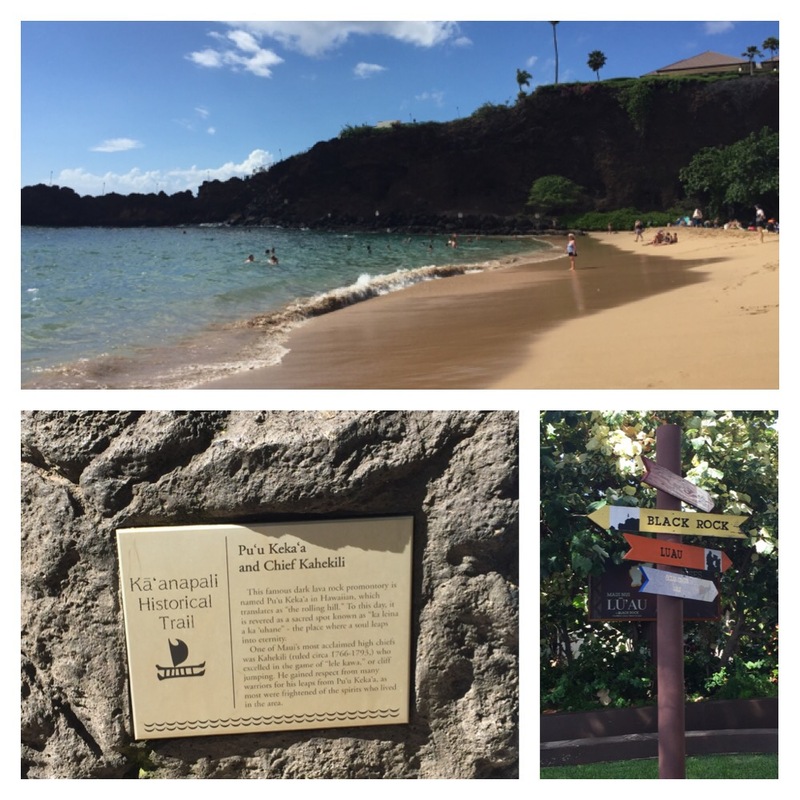 Our next “must see” stop, according to the app, was the Ke’anae Peninsula. The scenery here was, for lack of a better word, breathtaking. The lava rock literally jutts out of the ocean, and waves create white bursts of surf that remind viewers of the power of that sea. 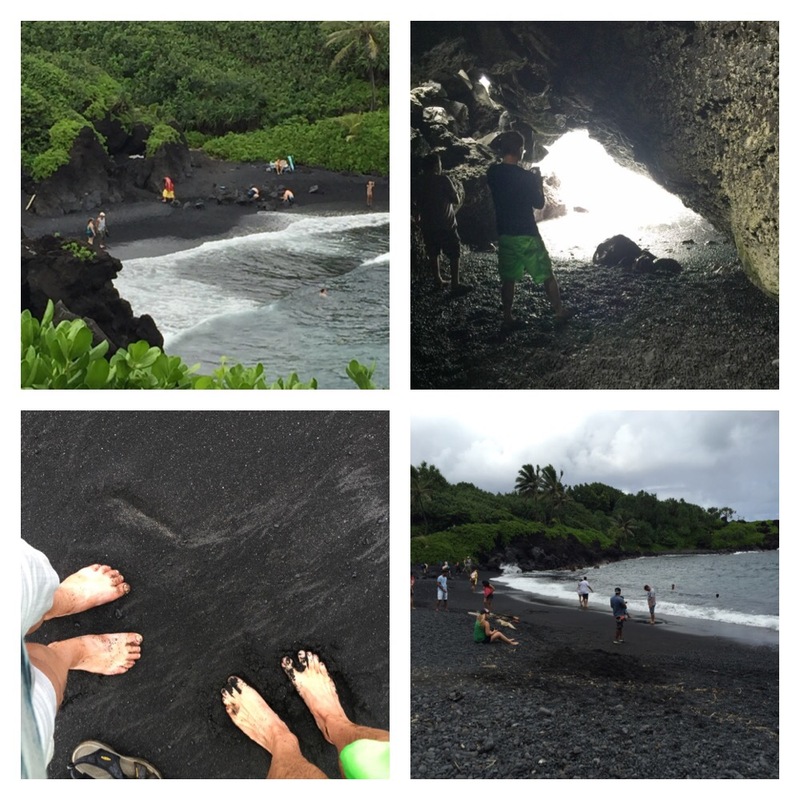 The next stop was the Wai’anapanapa black sand beach, which was also home to several caves which are steeped in legend! One of the caves was the hideout for the wife of an ancient King. He found her because he saw her reflection in the water, and killed her. Jeez! This stop was amazing. There were little brown mongooses frolicking all over the place; Rikitikitavi came to life!! (They sort of resembled a hybrid mole rat if I’m being honest). We were able to scoop up some black sand and smooth, weathered lava rocks to take home, and the views of some of the lava rock formations were stunning. 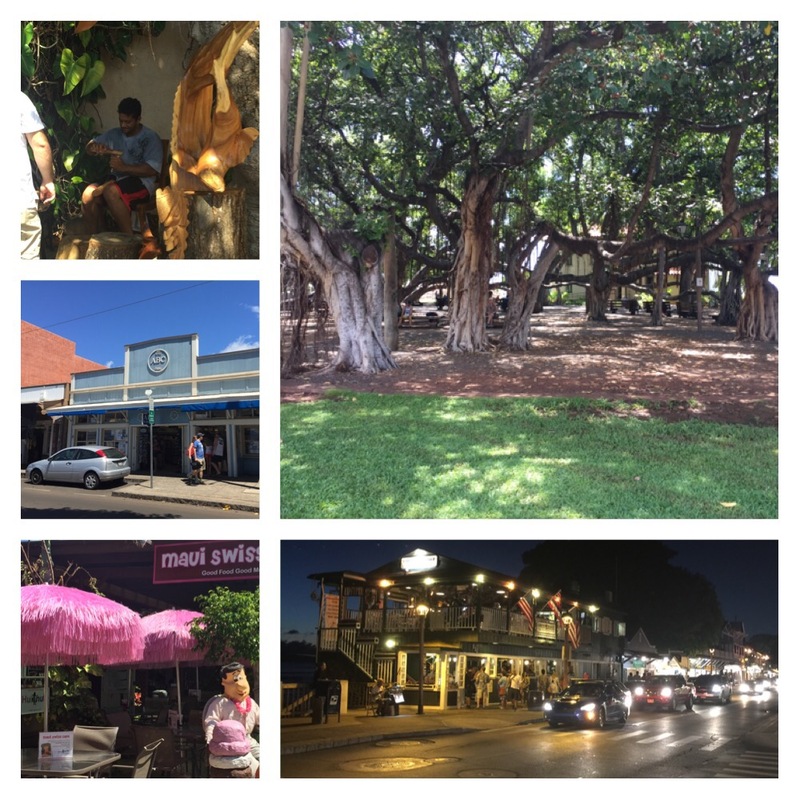 We made it to Hana– considered Hawaii’s most authentic town. The town was, quite honestly, small and seemingly uninhabited! It was raining, so we snapped some soggy photos and hit the road back to our hotel- hoping to avoid sunset on the winding roads! It took us a mere 3 hours to get back to Paia. We ended up back at the hotel by 8:30pm! A long, muddy, fulfilling day, for sure! I ate at a delicious crepery (not surprising that I might be drawn to such a place!) called the Maui Swiss Cafe. The crepes were French style, caked with butter and sugar; no, not very diabetic friendly but you can’t ALWAYS obey the rules!? Until noon I wandered around the town, particularly fascinated by the numerous local art and photography shops! The Banyan Tree grove was neat as well. I will miss the sweet sound of “Aloha” and the beauty of waves crashing into lava rock. 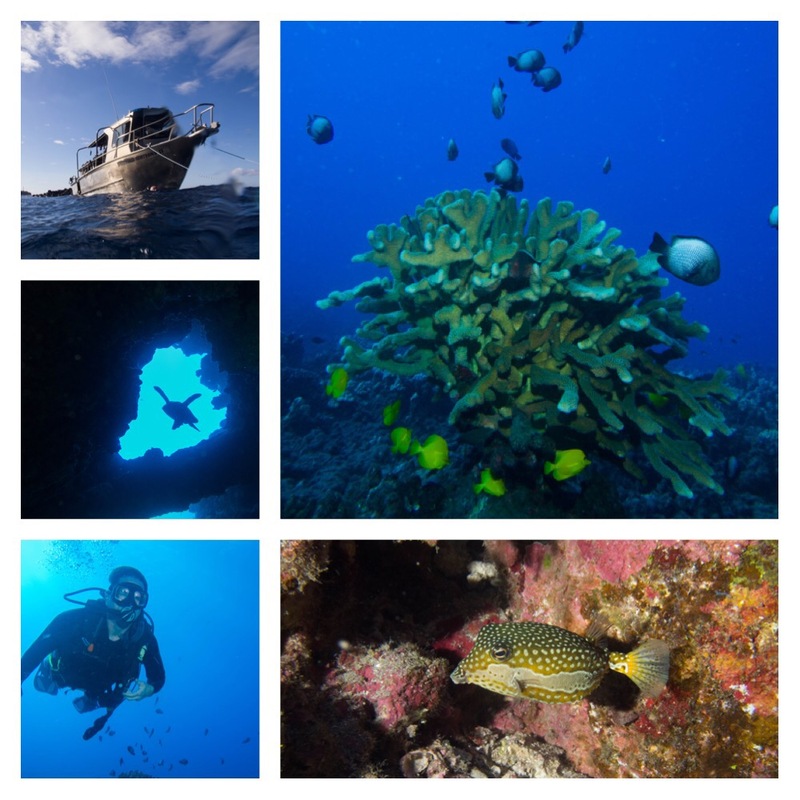 I will surely return to this beautiful land again someday… Mahalo!! Didn’t know you were a blogger! Very nice! !